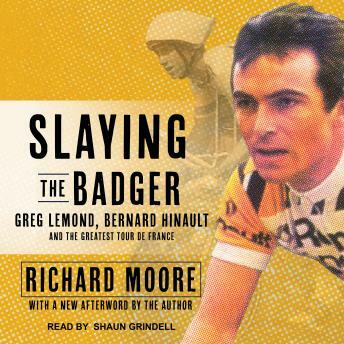 Bernard Hinault is 'Le Blaireau,' the Badger. Tough as old boots, he is the old warrior of the French peloton, as revered as he is feared for his ferocious attacks. He has won five Tours de France, marking his name into the history books as a member of cycling's most exclusive club. Yet as the 1986 Tour de France ascends into the mountains, a boyish and friendly young American named Greg LeMond threatens the Badger-and France's entire cycling heritage. LeMond becomes paranoid, taking other riders' feed bags in the feed zone and blaming crashes on sabotage. Through it all, with the help of his American teammate Andy Hampsten, LeMond becomes the first American to win the Tour de France.